Mr. Tiger leaves his bow tie and top hat behind when he goes WILD and wears only his tiger stripes! 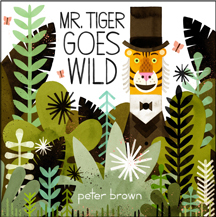 Story and illustrations by Peter Brown, a conference presenter. 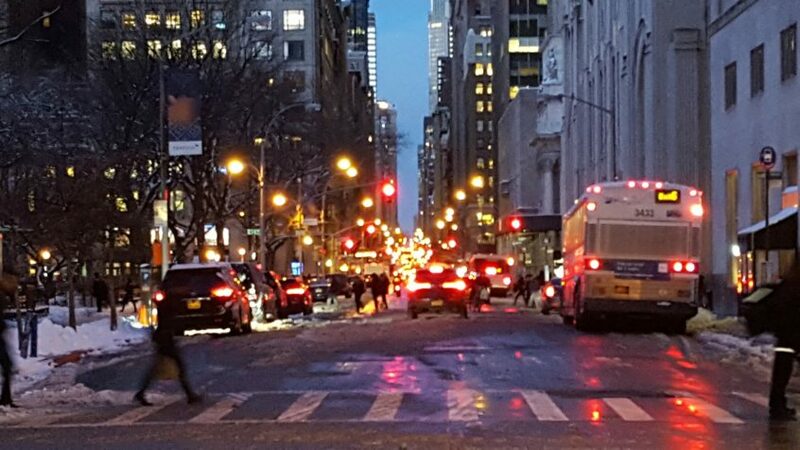 Last weekend I spent 3 solid days immersed in the children’s book world at the Society of Children’s Book Writers and Illustrators winter conference in New York City. I listened to how illustrators, art directors, and editors collaborate–some cautionary tales and some stories of success. I saw examples of the artwork of so many accomplished (and legendary!) 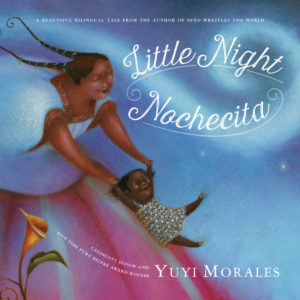 illustrators–Tomie dePaola, Peter Brown, Bryan Collier, Greg Pizzoli, Daniel Salmieri, Debbie Ohi, and Yuyi Morales. If you don’t know these illustrators, look them up! You most likely have enjoyed their work without even knowing it! I was humbled and inspired. I discovered that one of my favorite books, “The Snowy Day” by Ezra Jack Keats, is also the favorite book of both Bryan Collier and Andrea Davis Pinkney when they were children because it was a reflection of their own lives. Making tracks in the snow, this way and that, having your mom take off your wet socks after playing all day in the snow… and being a brown-skinned child. Seeing a vision of yourself as a child of color in a children’s book was uncommon when “The Snowy Day” was published in 1962. I’m glad to say that we have come a long way since then in representing all children in books so they see themselves; so children can embrace and own a story as their own. We have come a long way and have a long way to go. 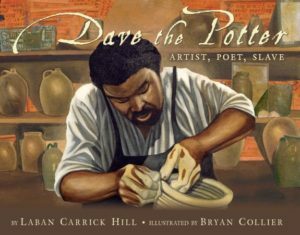 Illustrator Bryan Collier did a site visit to South Carolina to learn more about this historical figure that was born into slavery and became a well-known potter in his community. There has been a looming question in the book publishing industry for the last few years… Will the physically printed word be relevant? Will paper, hardcopy books be needed? What I heard at this conference is that maybe adult books will level out to be 50/50 digital and paper renditions, but children will always need real, tangible books to hold and hear read aloud with a loving adult. There was much talk of “the page turn,” which is that dramatic pause as you turn the real page of the book and find out what happens next. That’s not so dramatic when you just swipe or click to the next page. And when you have a physical copy of a book to read with a child, you are more likely to be snuggled up sharing it together, not passively watching. Yuyi Morales made the trip from Mexico to NYC for the conference in the middle of a snow storm. So glad she made it and shared her vision for children’s books. The conference ended with a wonderful presentation by author Sara Pennypacker. She was adamant that, “We need children’s books now more than ever!” Children need stories to make sense of the world– to laugh, to feel safe, to get new ideas, to feel hopeful about the future. If all of us adults can’t make sense of current events, what must the children be thinking? The future of children’s books seems more solid than many other things in our current state of affairs. The stories, the images, and the conversation that those books inspire between adults and children, will always be needed and be a way to raise our children to be creative and informed thinkers.